Source: publisher for review along with a toy tractor that matches the one in the book. Big Tractors teaches kids about a tractor's role on the farm, explaining why a farm needs these powerful machines. Animated characters and real illustrations show the machines at work, and also showcase the features of the tractors. 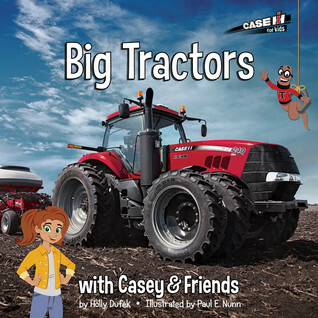 Join Big Red the Magnum tractor, Sammy the Steiger, and the rest of their farm equipment friends work with their friends for the farmer, Casey, to complete the hard tasks on the farm. With a detailed sidebar walking you through the science of tractor systems and functions as well as an easy-to-use glossary, children ages 4-8 will walk away with a better knowledge about how farms need big, powerful tractors to get the year's work done. 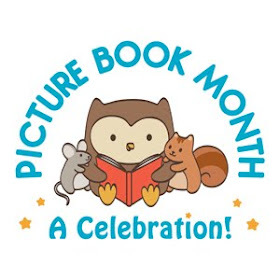 Holly Dufek has spent nearly 15 years writing and working with educational curriculum for publishers such as Holt McDougal, National Geographic Education and Riverside Publishing. Holly has worked to develop content to enrich the National Common Core Standards for elementary through high school classrooms. She holds a master's degree in Education and lives in Kenosha, WI, with her husband, Matt, and their three children. Paul E. Nunn is a full-range artist who has worked for Disney, Nickelodeon and Sesame Street. He lives in Racine, WI, with his wife, Amy, and their two children. I am not a huge machine fan but I know a bunch who are, so I was interested in reading this book. I was fascinated by all the information about tractors that is included. I had no idea that tractors had gotten so technologically sophisticated with computers and everything. This book is perfect for young tractor or machine fans, not only because of the great information, but the photographs are great and the cartoon characters reminiscent of the movie, Cars make this book a real winner.